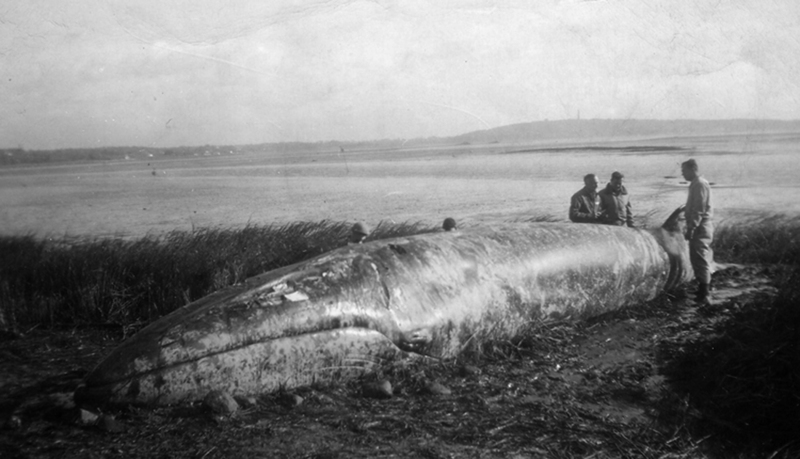 Whale beached at Ah-de-nah, October 20, 1948. By Ethel Packard. 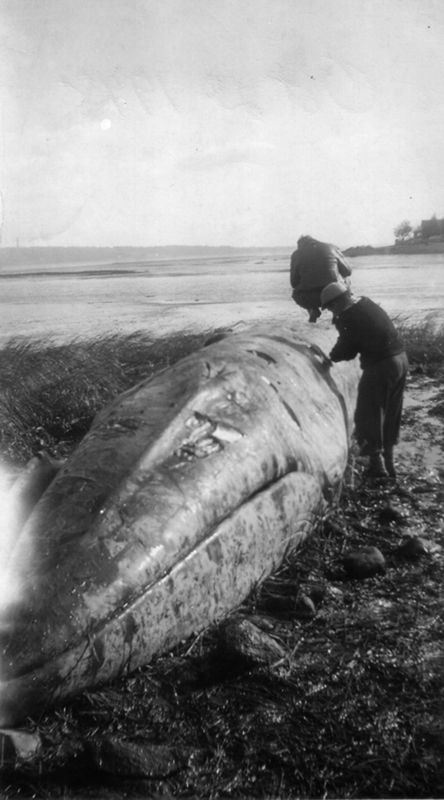 On October 20th, 1948, a fin-back whale came ashore north of the town pier [today’s town landing] at the foot of River Street. Measuring 42 ft. in length and weighing approximately 30 tons, this would ordinarily have been a human interest story, but it developed into a Board of Health problem when this Board was forced to dispose of the mammal. Our Highway Department with the assistance of power machinery, loaded the whale on a heavy-duty platform trailer and carried it to the Town Dump where it was suitably buried. After the dump closed a few years later, the Kingston Drive-In was built on the site. Today this location is occupied by Summerhill Plaza, so yes, indeed, there is a whale buried under the Stop-n-Shop! 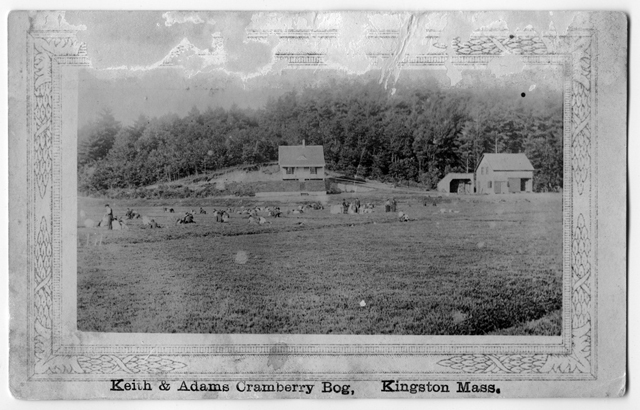 A beautiful cabinet card recently came into the Local History Room, part of a larger collection. 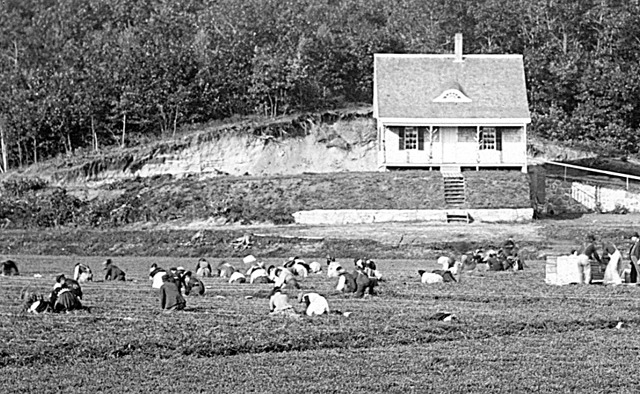 While the contrast in the original is a little faded (and has been adjusted in this scan), the image is otherwise perfect, and the subject — harvesting the cranberry crop — could not be more timely. 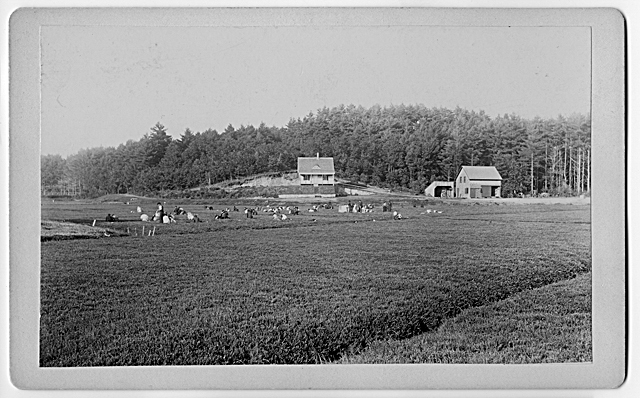 This close-up shows men, women and children at work, dressed more formally than we might expect for such manual labor. But where is this bog? It could be almost anywhere: the blank back of the cabinet card yields no clues. A little sleuthing through the photograph collections however, turns up a second copy, much more worn but bearing a typed caption that tells us that this is indeed a Kingston location.